This blog post was last updated May 30, 2018. We’ve all heard it before—content is king. That’s as true as it ever was, but you could make a strong case that content should share that crown with search engine optimization (SEO). While digital content strategies and SEO are continuously changing, there is one thing that holds steady: Content strategy and SEO work better together. Chances are that user experience is already a priority for your content team. You want to provide the most valuable, relevant information through your articles and blog posts. Search engines also reward sites that provide users with the best possible experience, which makes the technical quality of the pages where your content lives—factors like proper coding, sitemaps, and responsive design—can be just as important as the quality of the content itself. Quality should be a main consideration for all site content, especially when optimizing for search engines. Are your blogs and articles written with an eye toward readability? Is your site considered an authority on the topic? Are your articles complete and comprehensive for the topics you write about? Check out our tips for improving your ranking, or our SEO guide for small businesses. Readable content is concise and easy to understand. When visitors have an easier time reading your content, they see the value and stay longer—which rewards your SEO ranking in the end. Download our free readability checklist today! The better your content, the more likely it is that people will share it on social media, link to it on their own websites and blogs, and write about it. While the role of backlinks has changed over the years, it holds true that the more social shares and credible sites linking to your site, the more likely your content will rank higher for that particular subject. So it’s truly a content and SEO win! While it’s possible for a blog post or article to be highly shareable even it’s written without SEO as a main priority, it just makes sense to keep SEO in your thoughts throughout the content planning process. What topics do you want to rank for, and what keywords are people using to find this topic? Do your research before writing a piece of content and make sure to incorporate the right words and topics into your writing. Speaking of the right words, people who don’t know much about SEO tend to believe that the best path to a number-one ranking is choosing the perfect set of keywords. As we’ve already discussed, there’s a lot more to it than that, but keywords are still an important part of SEO. Search engines want to serve up the best results for their searchers, and if a searcher is using a particular word or phrase, then the search engine’s job is to provide the most relevant results including that keyword or keyword phrase. Your keyword strategy should be a part of the research process for any piece of content you're writing. Do your research, be sure your keywords fit organically into your content, and maintain up-to-date lists of keywords for all major projects. Remember that keywords come into play with all kinds of digital content, not just blogs and articles. For example, search engines also crawl PDF documents, so don’t overlook the importance of creating SEO-friendly PDFs. Think filling out the meta description field is a pesky, unimportant task? Think again. Not only should your meta description include your page’s focus keywords, you should also focus on quality, concise writing for this description. By providing a brief, yet comprehensive description, searchers will know exactly what they are getting into when they click on your article. It’s basically like an ad space for your content—so make it count! Also, the meta description is automatically pulled as a description when sharing on social media platforms such as Facebook and LinkedIn, helping potential web visitors instantly understand what your content is about. The meta description is just one example of many important optimization aspects for your content, but one that might often be overlooked. On-page factors from title tag to outbound links should also be considered for each piece of content you create as a part of your overall content strategy. 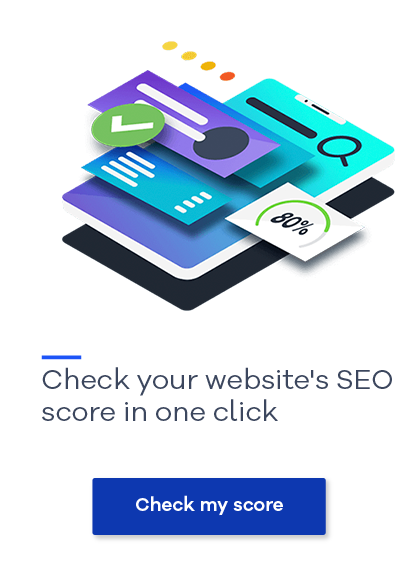 Check out Back Linko’s on-page SEO infographic for more information. The end goal of most marketing efforts is meeting overall business objectives. Whether your team’s goals are to drive more awareness, gather more leads, or get more conversions, both SEO and content strategy can help. So doesn’t it make sense for them to be a joint effort? SEO shouldn’t be an afterthought for your writers, and content strategy shouldn’t be overlooked as a way to drive more of the right organic traffic. If these positions happen to be separate at your organization, team members should be meeting regularly to discuss goals and strategies and how they can work together to make them align. If your writers are also your SEO specialists, then they should be doing research by diving into analytics data on organic search terms, researching possible keywords, and creating an overall strategy for content that includes SEO. Want more tips and easy fixes for your SEO strategy? Check out our 17 Killers of Your SEO Efforts – and How to Fix Them web guide.